Ok. I’m Farah, I’m 14 years aged, I’m Palestinian and I live in Gaza. I care about human rights and I see that we ‘Palestinians’ have no rights and nobody asks about them because we used to live in this horrible siege, we cannot travel or visit our relatives and friends who live in Jerusalem and the West bank and the other cities in Palestine. And this is unfair. But this isn’t my aim right now. I want to speak about what is happening these days in Gaza. We cannot leave our houses because it’s dangerous outside, for example yesterday evening Israel bombed on a man who was coming back home from the supermarket and killed him. It’s not even safe in our houses, for example everyday after midnight gunships shoot on the citizens houses and kill tens. 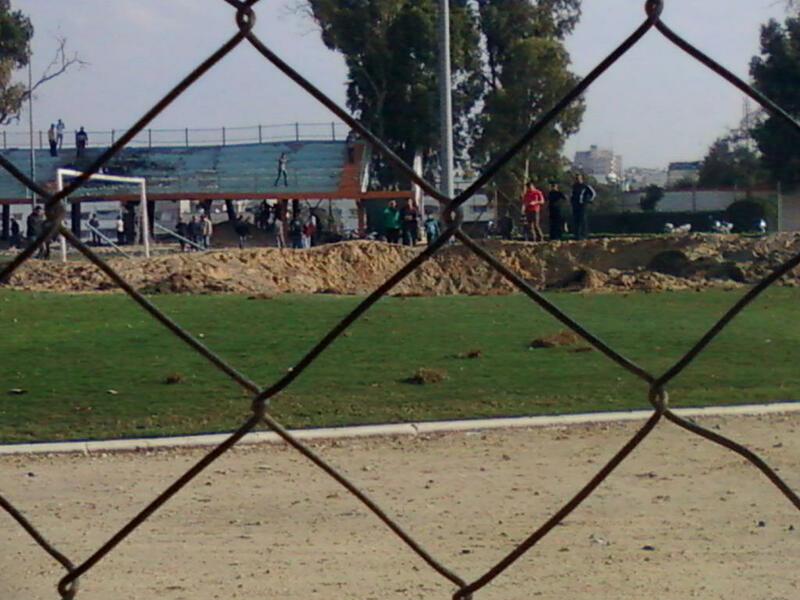 Israel even bombs on the military sites which locates between citizens houses and raises fear in everywhere. I live on the opposite of al_Shifa hospital, so yesterday evening I went on the rooftop to see what was happening there, so I could see the morgue of the hospital. On it’s door there was a woman shouting, screaming and slugging, after a while a doctor arrived and with him was a died body which was covering by a white cloth. Then a huge explosion happened so I ran to the house. Israel kills citizens but they deny that. An example: Yesterday, F16 threw 3 rockets on al_Dalu family’s house and they’re citizens. They killed 10 people, 4 children, 2 women, an old man and the father, and injured 15 people too. Israel said that that happened by mistake, but of course nobody believed this huge lie. Thousands of crimes and nobody says anything! Are the people afraid or they don’t care? We won’t leave our homeland, we’ll stay here in Palestine till the last breath. Israelis will die sooner or later and god will help us. 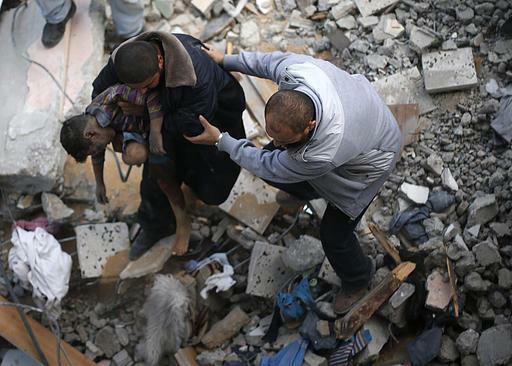 The Israeli aggression on the Gaza Strip lasted eight days (November 2012) to claim the lives of approximately 164 Palestinians, including 43 children and 15 women. The aggression left more than 1,200 Palestinians injured, mostly women and men. 963 families in #Gaza are now homeless. Unemployment rate in #Gaza is 28% – and stands at 58% among young people aged between 20 and 24. BARCELONA – one of the coolest cities in the world! Of course three days is far too short to discover everything that beautiful bustling Barcelona has to offer, especially if, like me, it’s the first time you’ve visited the city, but armed with maps and pertinent data from the main tourist information office, which is located in the central Plaza Cataluña, it’s certainly possible to see the most outstanding attractions and enjoy the lively, laid-back atmosphere. Barcelona is an open-air museum, there are many ways to discover the city and a whole host of things to do, but riding a Tourist Bus is probably the easier way to see the sights, just buy the appropriate ticket and you can jump on and off the open-topped bus when and where it suits you as many times as wish. Three different routes criss-cross the city taking in the major monuments, historical buildings, parks, leisure harbours and shopping centres. Taking the Metro is a time-saving economical alternative, a two or three-day combined public transport bus/tube/train ticket is ideal – whiz beneath town on the tube, once again changing as many times as you like. 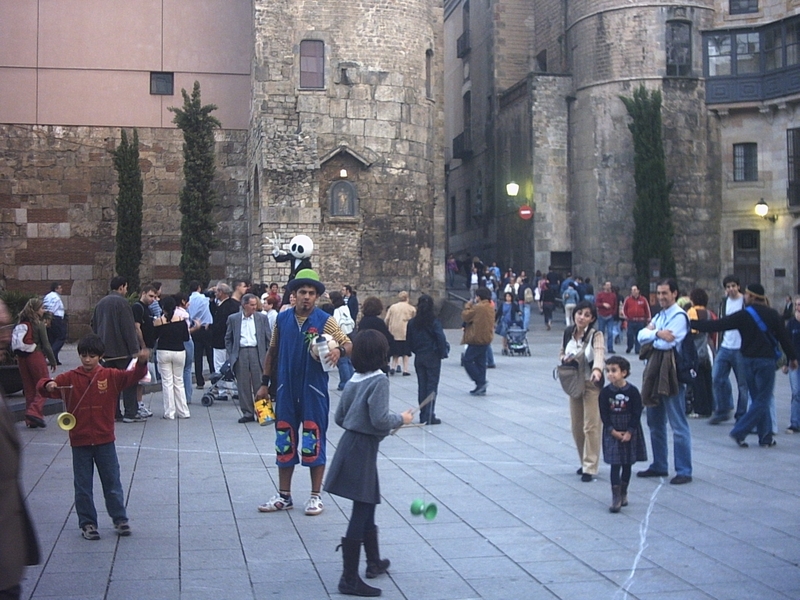 Plaza Cataluña is situated in the heart of Barcelona’s old town, this huge square peopled with strollers and street musicians is Barcelona’s nerve centre, and the city’s main thoroughfares radiate from here. Five minutes walk from the square you’ll find the Palau de la Música Catalana, a stunning jewel of the modernista era which is a World Heritage Site landmark. La Rambla, a unique, lively and colourful boulevard runs from Plaza de Cataluña down to the port, lined with street cafes, newspaper and book stands, and interspersed with bird and flower stalls. Thriving commerce has its focus on the side streets. Strolling down La Rambla I admired the Gran Teatre del Liceu opera house, and wandered round the traditional Boqueria food market. The Contemporary Culture (CCCB) and the Contemporary Art Museum of Barcelona (MACBA) are located in the adjacent Raval district. The medieval shipyards, the Drassanes Reials, bear witness to the splendour of sea trading and the Catalan Navy of the Middle Ages, and currently house the Maritime Museum. The domed viewing gallery of the Columbus Monument strategically located at the port end of La Rambla commands views of the whole of Barcelona and the Port Vell, where a wooden suspension bridge spans the water to the city’s new Maremàgnum leisure complex. It’s got everything: shops, cinemas, restaurants, night-time bars and pavement cafés set against the incomparable backdrop of the Mediterranean. A siren blared as we were sauntering across to warn pedestrians that the bridge was about to be raised to allow a high mast yacht passage to the open sea. One of the highlights is the Aquarium Barcelona which takes you on a fascinating journey to the bottom of the ocean – a walk through the glass tunnel beneath the shark pool is a magic moment not to be missed. A little further up from the Columbus Monument, turn on to Carrer Nou de la Rambla and visit Gaudí’s magnificent Palau Güell. 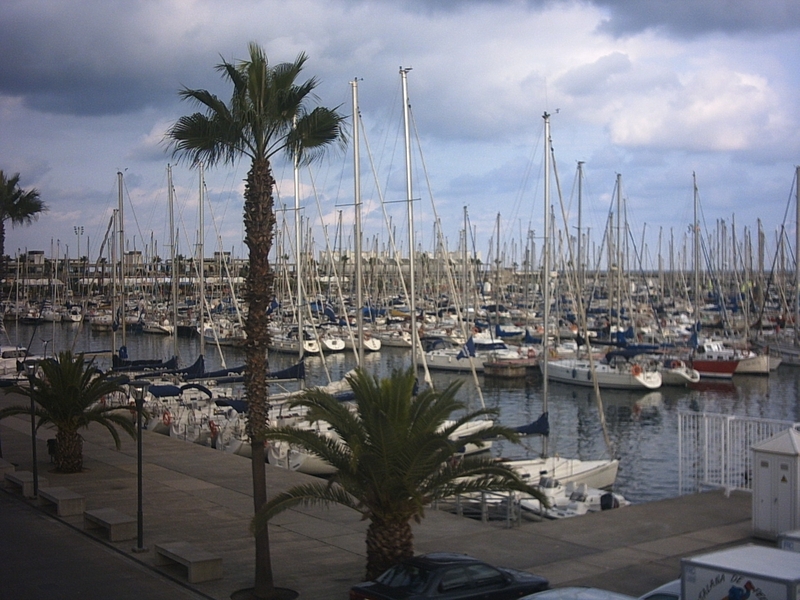 The Barceloneta is a traditional sailing and fishing district which is renowned for its fish and seafood restaurants. The promenade leads to the Olympic Harbour, which with over 40 bars and restaurants has become a major recreational and dining area which, together with over four kilometres of beaches, offers the possibility to enjoy all kinds of water sports. Nearby, you will find the Parc de la Ciutadella, one of the city’s biggest parks. If you’re an animal lover, a visit to the zoo is recommended. We caught the bus back to La Ribera district, which was the city’s hub of commerce and seafaring trade in the Middle Ages. The Picasso Museum, one of Barcelona’s most visited museums and the Palau de la Música Catalana warrant a visit if you have time. I discreetly watched part of a wedding service being held in the fine Gothic Santa Maria del Mar church then wandered through the ancient narrow streets stopping to admire the work of a group of artists who had set up stalls displaying their paintings in one of the many plazas. Later that evening we had dinner in the fashionable El Born district – restaurants and cocktail bars have injected this area with new life whilst respecting its traditional character. After breakfast the following morning we followed the Modernista Route stopping off along the Paseo de Gràcia to view outstanding examples of Catalan art-nouveau architecture, such as Casa Amatller, Casa Batlló and the imposing stone façade of Casa Milà (La Pedrera) – built by Antoni Gaudí, the city’s most emblematic architect between 1906 and 1910, the interior of this house, declared Patrimony of Humanity, is full of surprises. Next on our itinerary was the Sagrada Família, the unfinished cathedral, architectural wonder by Gaudí. At the time of his death in 1926, only one of the towers had been completed. It’s debatable whether the effort of climbing up the claustrophobic, twisting turret stairway to the top of the pinnacles that spear the skyline of Barcelona is really worth the exertion (there is a lift only that would have been cheating) but the incredible views from the stone windows probably tips the balance. The Modernista trail concludes at the surrealistic Park Güell. From here, one of the optional attractions, Tibidabo, is just a stone’s throw away. The Tramvia Blau, Blue Tram, leaves you at the foot of the Tibidabo Funicular Railway which runs to the top of the hill. The magic mountain is the ideal place to stop off for lunch and enjoy the panoramic views over the city or call in at the Amusement Park, which opened in 1900 and presently combines traditional and symbolic attractions with the most modern facilities. In the afternoon, we visited the Gothic Quarter (Barri Gòtic), where the remains of the Roman city survive alongside the city’s medieval buildings. The former royal palace, the Palau Reial, located in Plaza del Rei, is part of the City History Museum. Other places of interest include the Romanesque church of Santa Llúcia and the Plaza Sant Jaume, where the Palau de la Generalitat (seat of the Catalan government) and City Hall stand. Antique dealers, bookshops, restaurants, and unusual shops maintain the activity of historical district and add to its interest. I found the beautiful candle filled Cathedral (The Cathedral of St. Eulalia), started in 1298, particularly engaging, especially the unique cloisters where a clutch of geese swim round the central pond. I lit a red candle for good luck and placed it beside the others that adorned San Pancraceo’s shrine (this saint ensures good health and work I was told). Outside a crowd had gathered to listen to a large band of musicians who were playing their instruments on the steps leading up to the cathedral and people of all ages joined hands and moved round in circles for a traditional dance. We stayed in the plaza for awhile, watching the agile impromptu dancers and several amusing street entertainers. 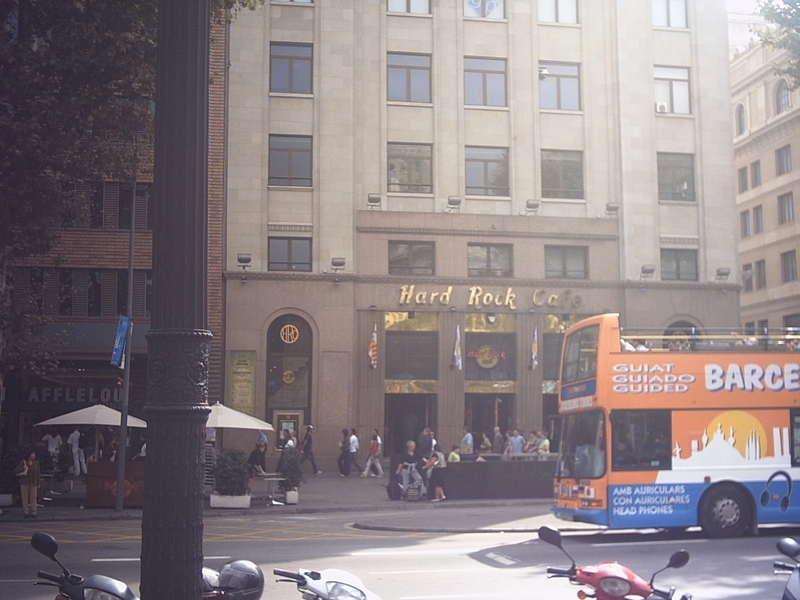 That evening my partner & I enjoyed a meal at the Hard Rock Café, in Plaza Cataluña, having a great time listening to live music – the place is usually packed especially on Thursday nights when gigs of up-and-coming bands are held. On our last day, I took time out to discover some of the interesting sights further away from the city centre. The Pedralbes Monastery, founded in 1326, is one of the finest examples of Catalan Gothic art, a small community of nuns from the Order of St Clare still lives in one wing, but most of the building is now a museum which is open to visitors. Since 1993, works from the Thyssen Collection have been on view in this imposing setting. An ardent Barça fan, I couldn’t resist a visit to the nearby FC Barcelona football stadium, Camp Nou. 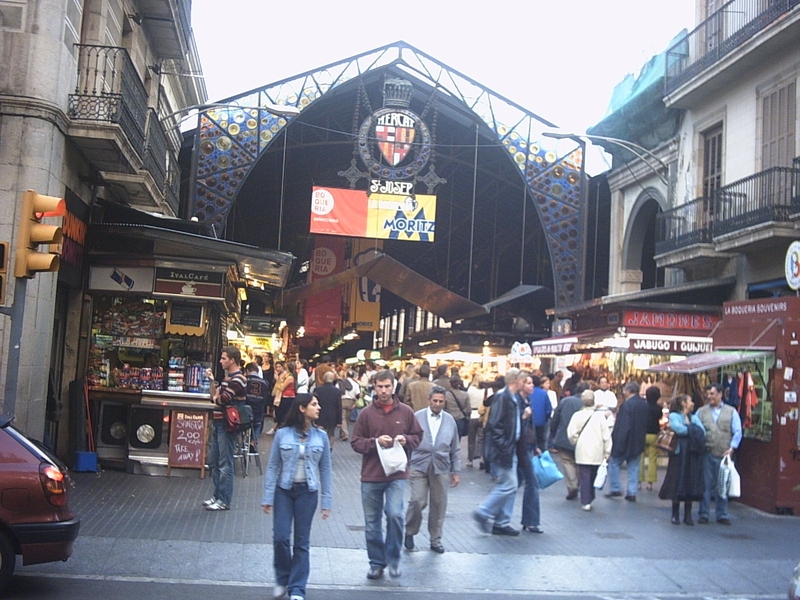 Barcelona has an open-air retail thoroughfare stretching for over five kilometres, known as the Shopping Line, Avinguda Diagonal includes major shopping centres and restaurants. My partner was really looking forward to seeing the Olympic Complex located on the Montjuïc mount, so we took the metro (line L3) to Paral•lel station, then caught the Montjuïc Funicular. Alternatively you can ride the teleféric cable car from the port to Montjuïc Castle and scenic Miramar lookout for stunning views of the city, or once again the easiest option is probably to use the Bus Turistic. Among Montjuïc Park’s many features are a series of interesting gardens which showcase all kinds of botanical species. The Olympic Ring, the main site of the 1992 Olympic Games, hosted the opening and closing ceremonies and the athletics competitions; the Palau Sant Jordi stadium which besides holding leading sports events is used as a concert hall, the imposing white structure of the communications tower; the headquarters of the Sports University, and the Picornell swimming pools which are open to the public are just some of the attractions. A few minutes away the recently remodelled National Museum of Art of Catalonia, housed in the impressive National Palace, brings together one of the most important collections of Romanesque art in the world. The museum also has outstanding collections of Gothic, Renaissance and Baroque art. The Fundació Joan Miró, besides housing the permanent collection of painting, sculpture, ceramics, tapestries by this world-renowned Catalan artist, is fully involved in promoting the contemporary arts. The Poble Espanyol is a full-scale recreation of a traditional Spanish “town”. It is one of the city’s main leisure venues with a wide variety of bars, shops and many craft workshops and often hosts entertainments, festivals and concerts. On our last evening we dined at a restaurant that had been recommended to us, Les Quinze Nits in Plaza Reial just off La Rambla, not far from the Liceu. They don’t take bookings and we’d been warned that we’d have to queue outside but the wait was definitely worth it, the large restaurant had several ambiances, the food was first-class and as a bonus it was economical too! The choice on the a la carte menu was mouth-watering and I finally chose a large starter of marinated salmon, followed by delicious duck then finished off with ice-cream liberally doused in Baileys cream liqueur! que ya se ha ido. y solo el recuerdo en mi mente quedara con vida. arrancando todo todo lo que soy. como diciendo ¡Bienvenido!, como diciendo ¡vente en mí! y tus gritos desenvainados, auténticos. y tus fosas nasales se despejasen. las manos que te abrazan. la mochila de mi espalda. de sentirme sola en tu presencia. por mi soledad, tan ancha. que no pica, el cantero del alma. de la mochila a mi espalda. El silencio es mi respuesta.